If you’re an avid knitter or crocheter, chances are you’ve run into the classic conundrum: where to stash your yarn collection. 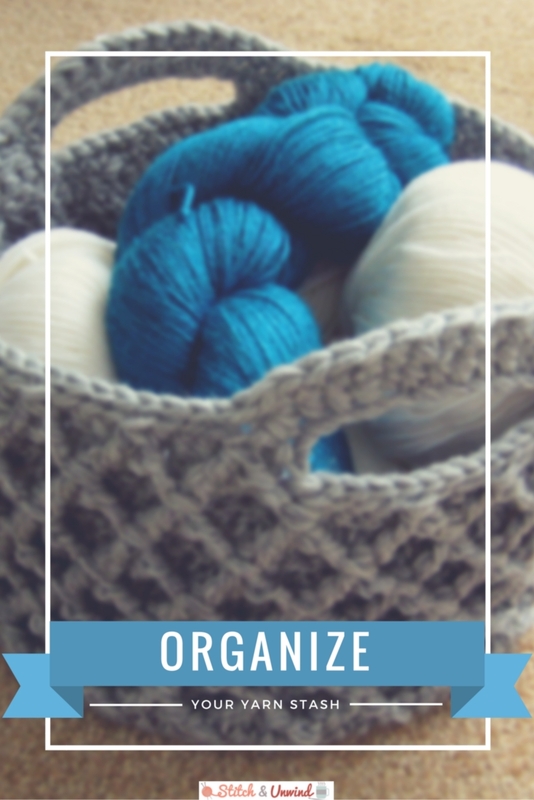 Because yarn comes in so many shapes, colors, and sizes, it can be tricky to find a way to organize your yarn collection without it becoming unsightly or taking up too much room. Now that it’s the start of a new year, there’s no better time to get organized once and for all! To add a little inspiration to your day, I’ve rounded up some of my favorite yarn storage ideas from around the web for you to use in your own home! One of the easiest ways to organize yarn is to just toss it all in a yarn basket. You can even use up some of your stash to work these up! 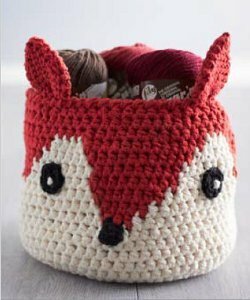 Foxy Yarn Basket – How cute is this crochet fox basket? Turn your yarn stash into a cute accent piece! Mega Bulky Crochet Basket – A bulky crochet yarn basket that stores yarn without being obtrusive. Hooty Owl Crochet Basket – Who doesn’t love an adorable owl? This basket is a fun addition to your crafting area! Box Stitch Crochet Basket – Use the box stitch to work up this easy crochet basket. Simply Irresistible Trellis Basket – This elegant yarn basket will look at home in any room. If yarn baskets aren’t your thing, here are some super creative DIY storage ideas especially for yarnies! DVD Case Yarn Storage – Now that Blu-Ray is the new thing, use an old DVD case to create this cute yarn rack. Wine or Wool Carrier – By far the most budget-friendly option, this cardboard wine carrier is the perfect place to stash yarn on the go. Peg Board Storage Idea – This peg board yarn holder is great for an accent wall in your crafting area! Wine Rack Yarn Holder – Play around with the color arrangements to make this storage idea double as decor. Plus, check out even more yarn storage tips over on AllFreeKnitting!